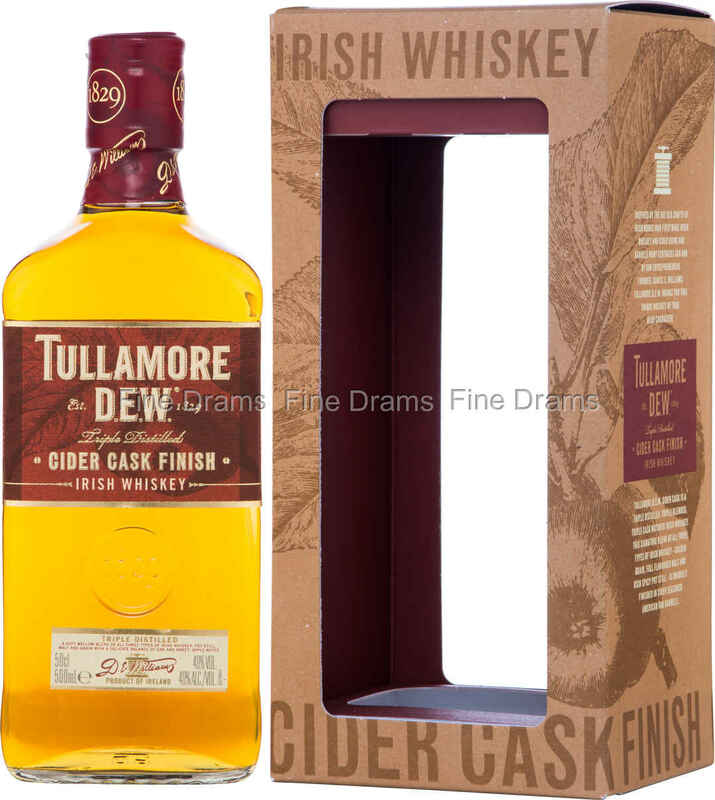 One of the more interesting cask finishes we’ve come across in recent years, this whiskey takes Tullamore D.E.W.’s tremendous, creamy and bright triple distilled Irish whiskey and ages it in cider casks! Whilst cider produced in whiskey casks is not uncommon, this is a very rare instance of a reversal. Tullamore D.E.W. proclaim that they wanted to combine “two of Ireland”s oldest crafts, cider-making and whiskey-making” and they’ve certainly achieved that aim. The casks began life in the states, being used to matured Bourbon. They were then shipped to Ireland where cider was fermented in them for several weeks, giving the wood a tart, fruity and sweet infusion. The whiskey was finished in the cider casks for three months, giving it a subtle, yet distinctive, fresh fruity flavour! A welcome experiment from this huge company, and not one that any Irish whiskey fan can afford to miss out on!